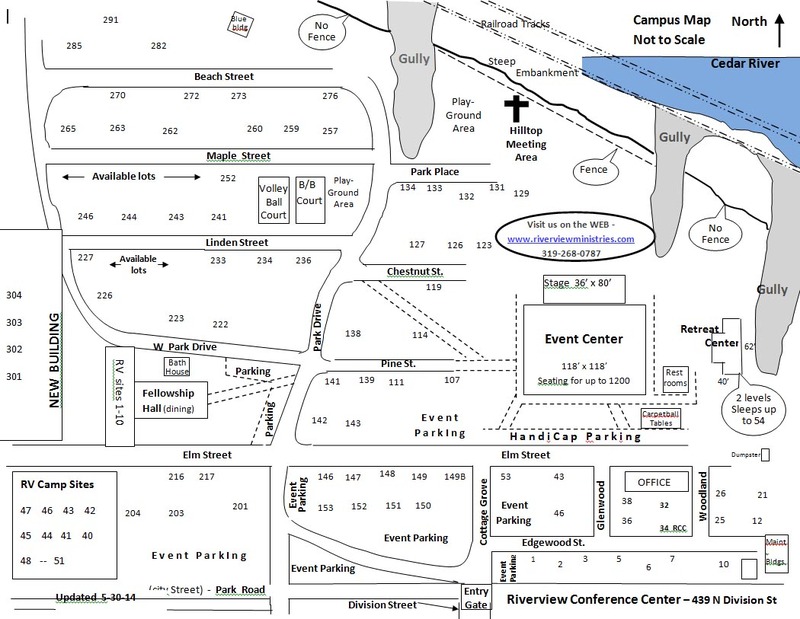 Riverview is 27 acres of opportunity for your event. Whether you need facilities for your family or a large crowd, Riverview is a beautiful destination for refreshment, renewal, retreat, relaxation, reflection and reconnecting. You will not even know you are still within city limits. Facilities and grounds provide an event center, banquet hall and multiple conference rooms. WiFi and air-conditioning provided in all general meeting areas. On the grounds, there are two playground areas, a bonfire pit, volleyball, basketball, and a frisbee golf course.